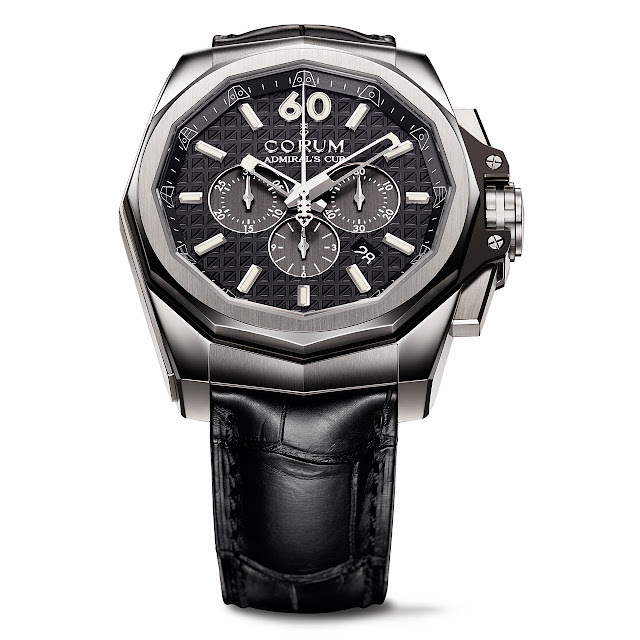 With the launch of the AC-One line, Corum is writing a new chapter in the history of its emblematic Admiral’s Cup collection born in 1960. While the lines have been reworked, the signature codes that have forged the identity of this watchmaking icon have been jealously safeguarded. The bezel of the new chronograph thus features the original twelve-sided shape, while the 45 mm case is even more rounded as part of an integrated architecture adorned with alternating polished and satin-brushed finishes. The construction is built in layers, with black PVD-coated titanium inserts between the caseback, the case middle and the bezel. The slimmer technical and contemporary case is made from grade 5 titanium and houses the automatic CO 132 chronograph calibre also driving a date. The movement may be admired through the sapphire caseback that reveals an unusual openworked, black PVD-coated oscillating weight. 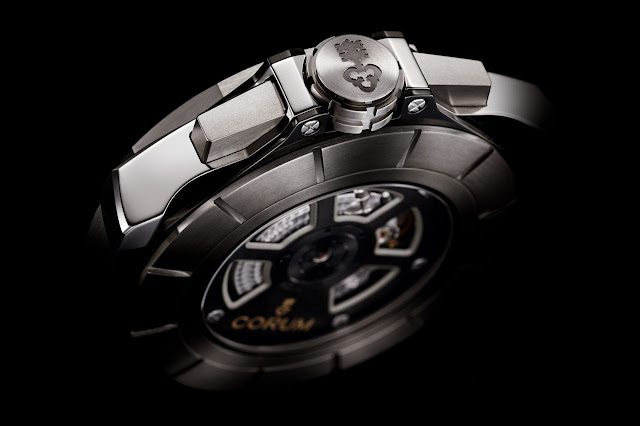 Mechanical automatic, CO 132 calibre, 12 ½’’, 39 jewels, 42-hour power reserve, black PVD-coated openworked oscillating weight.